Making chocolates in home is always a fun. It is actual quite cheap compared to the store brought one, plus it is healthy and hygienic when made in home. White chocolate fudge with pistachios is actually an interesting recipe which has the goodness of chocolate and pistachios. Scrap in the chocolate in a microwave safe bowl. To this add in condensed milk and butter. Microwave it for 1 minute, the chocolate will now start to melt. With the help of a spatula mix everything well. If the chocolate dint melt microwave it for another 30 secs it should start melting. To the melted chocolate now add in the chopped pistachios and mix well. Prepare a tin lined with parchment paper. Now pour the melted chocolate and refrigerate for an hour. After refrigeration the chocolate would have set .With a serrated knife chop into any desired shapes or break into bars. Don’t microwave continuously for more than a minute. The chocolate would get burnt easily. If you don’t have a microwave oven the chocolate can be melted using a double boiler. For double boiler. Place a big vessel with water and inside that place another vessel with chocolate inside. This way can also be used to melt the chocolate. White Chocolate chips can also be used. 1. Scrap in the chocolate in a microwave safe bowl. To this add in condensed milk and butter. 2. Microwave it for 1 minute, the chocolate will now start to melt. With the help of a spatula mix everything well. If the chocolate dint melt microwave it for another 30 secs it should start melting. 3. To the melted chocolate now add in the chopped pistachios and mix well. Prepare a tin lined with parchment paper. 4. Now pour the melted chocolate and refrigerate for an hour. After refrigeration the chocolate would have set .With a serrated knife chop into any desired shapes or break into bars. 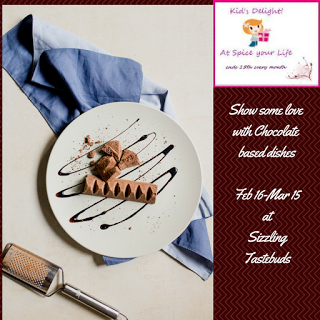 Kids will love this recipe for sure ,it definitely will not fail to impress them!! Looks yum and exotic , it is a gourmet kinds and I am drooling early morning. white chocolate and pistachios..unique combo ! must try out soon ! My husband will be crazy for these! Is condensed milk sweetened? Thanks Angie :)Yes i have used Sweetened Condensed milk! A simple but delicious recipe! Kids will love this for sure! I can't wait to try this easy recipe for chocolate lovers. Omg, those white chocolate bars are just breathtaking, am in love with those bites. Wow these look so creamy and melt in the mouth types!..never made with white chocolate..must try! That platter is so so yummy! OMG.. that looks delicious. I wish I could grab some right away. White chocolate bar is tempting and am sure it was addictive as well. That is one very tempting chocolate bark. Love the addition of nuts in there.